Crew was wonderful, patient and good natured.Having requiried length of survey is very off putting.No more. Don't spoil the moving experience by dictating how I should respond to your survey. 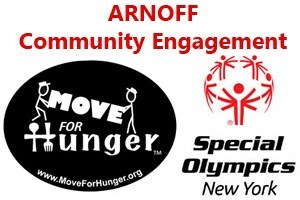 Arnoff gives back to the communities we serve.